Trading in the silver and blue for gold and red. The Dallas Cowboys have made it a bit of a habit to groom their former players on their coaching staff. Just take a look at Marc Colombo, Kellen Moore, or even Jason Garrett if you need an example. Somebody who the Cowboys have kept on their staff for a bit now has been former wide receiver Miles Austin. Austin spent the majority of his playing career with the Cowboys and started his path as a coach there. His path has now grown and spread off into a new direction as he’ll be joining the staff of the San Francisco 49ers. Source: the 49ers are hiring longtime NFL wide receiver Miles Austin as their offensive quality control coach. It’s not the first time that the Cowboys have lost one of their former players to a different coaching staff, such was the case last year when DeMarcus Ware joined the Denver Broncos. For whatever reason it just hasn’t worked out for the team to have had the openings necessary for these former players at that particular time. 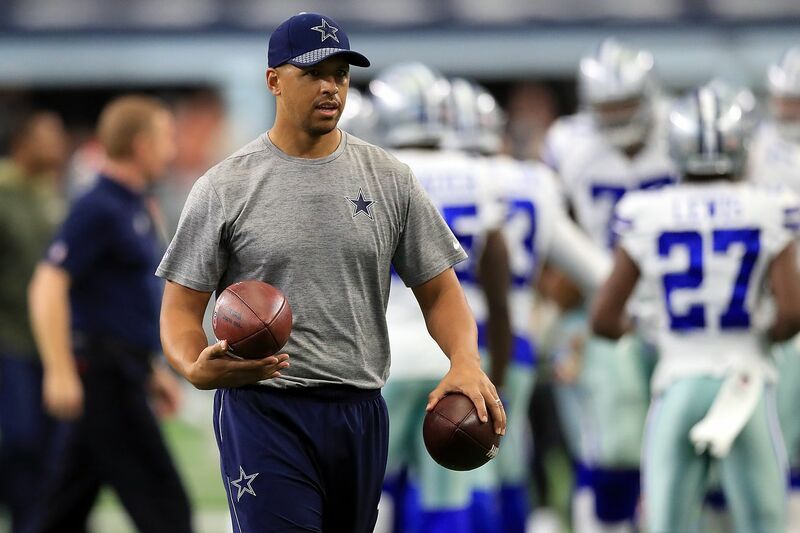 Miles Austin is joining a staff in San Francisco led by Kyle Shanahan who’s regarded as one of the smarter offensive minds in the NFL. Hopefully Austin develops into a fine coach, but just not against the Cowboys.